Are they making sets, or is this a Lego video game? They will be making sets. Possibly BrickHeadz and more. Interesting. I haven't gotten into Overwatch (or Fortnite for that matter) but I do consider myself a Gamer (as much as one can be with 2 toddlers). So I think this is a good move from Lego. Glad to see a new IP coming and it will be interesting to see if Blizzard pushed any others to Lego to create. Most definitely they will be creating Brickheadz. I think those are now a staple Lego theme much like CMF's. Hell, I even think they could influence Blizzard to retire the Constraction figures away from Star Wars and devote to their lineup of Overwatch characters. With the popularity of Overwatch and Brickheadz, I can see character builds for each one. Now although I do like the idea of Brickheadz models, hopefully there will (or could) be more than those. A brick built Bastion or D.Va's mech or even play sets based around the different in-game locales would be something. Good ol' Winston would fit as a big fig. Fairly serious Overwatch player myself (excited for the anniversary event tonight after work :3), but i feel like this theme would be better suited for Megabloks. Just because of the complex character designs, i feel like they would fit better on mega figures, but will be interesting to see what they can do with the Lego figure. I can see why they probably decided to go with Lego this time around though as i'm pretty sure the Warcraft line didn't do too well, not to mention the cancelled Starcraft line. 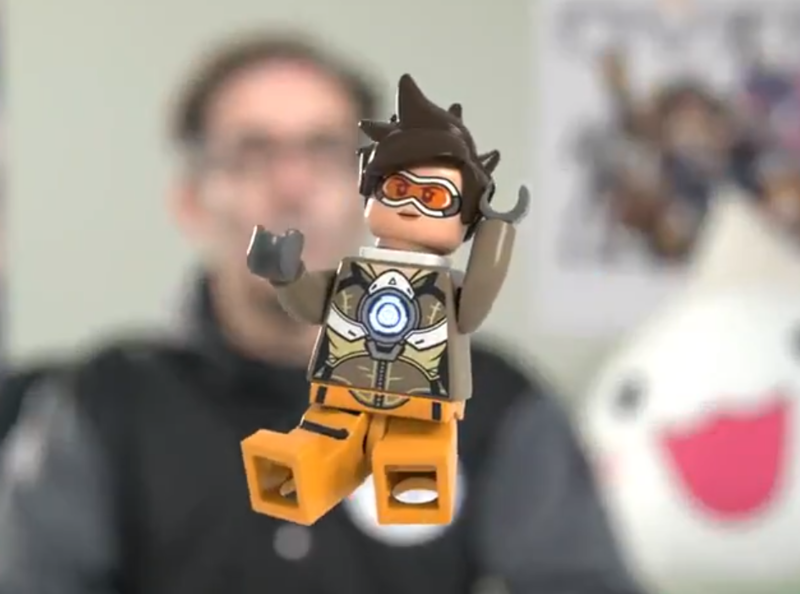 I can see Overwatch Brickheadz doing well though. I agree with you there, this seems like a Megabloks theme. I’m doubting Lego will make complex minifigures, but maybe some of the simpler characters. Lego is making way too many Brickheadz this year that I’m not sure if a line would do well. Buildable figures is what I think the path Lego should take with this theme. This theme shows my age. Me too. I don't know what it is. When is UCS Ms Pac-Man coming? At the very least, this confirms the possibility of a Collectable Minifigures series. Neat. Can't wait for these to be released hopefully we will get a series with a few playsets with the big figs in. Read somewhere think it was about the overwatch sets being made exclusive to lego stores & SAH. Brought overwatch last week and im hooked didn't think i would like it but i love multiplayer fps games just don't know why i waited so long to play it. Don't have any other additional details than the screenshot I'm attaching but while searching Wal-Mart on B-Seek I found Overwatch sets in the search results with set numbers. May not be a Lego store / SAH exclusive if it's showing up in Wal-Mart search results but who knows. Either way, exciting to have set numbers. It's a single wave for release it looks like there will be 6 sets to choose from. 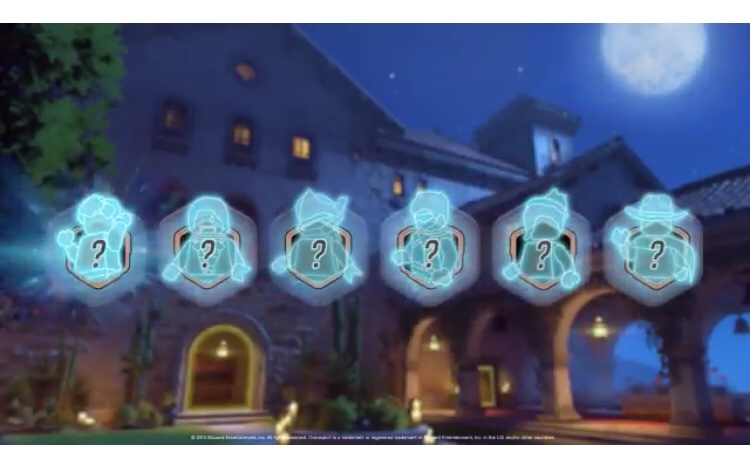 What worries me about this line is how they handle the bigger figures like Rein, Hog, Orisa, Winston, etc. Will they be brick built? big-figs? or will they just skip them altogether (would be a huge let down). Dva could even be an issue as a brick built Meka i feel will be way out of scale with the rest of the line. The smaller simpler figures should look ok, like the figures they already teased are pretty easy to reproduce as minifigures. If they keep this line as true to the game as possible.. we can expect a ton of new custom molds for the weapons. I still think a theme like this would be better suited for Megablok's more advanced figures though, i'm not a Mega fan, but their figures would suit the complexity of Overwatch character designs a bit better. Either way i'm sure i'll buy a set or 2 for some of my favourite characters. I think scale wise i would like to see the tanks as big figs apart from d.va, wrecking ball and orisa. They could make d.va's mech like iron mans hulkbuster suit but a little smaller and have wrecking ball brick built with an hamster fig the size of the blue meanie from yellow submarine orisa should really be brick built with printed pieces. All the others should be minifigure scale with nice printed detail and accessories to make them stand out. Im really looking forward to this theme so i hope they do it justice. I like them a lot. About as good as you can expect without having to make a ton of unique parts. Love them all except Gibraltar. Not sure why they did the shuttle. I know nothing about Overwatch (shame, I know), but with that said, I like the shuttle set the best, that launch tower is sweet! Again, I have no familiarity with any characters, scenes, etc. so I wouldn't have an appreciation for perhaps what Lego botched in this set or what other choice they could have made, but objectively speaking it looks really neat to me. 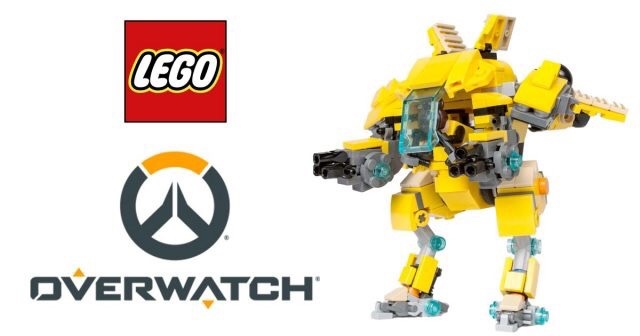 Preorder on LEGO Shop at Home is only for the set Watchpoint: Gibraltar now (at least for me). Wont let me preorder any of the others. Did I miss the boat on the preordering for the others? I pre-ordered the Rein/DVA set the week before black friday for double VIP points. If you can't do it now it may have been an error or just a small window.